Guess we know who’s on top in that relationship. Surely This Must Violate Some Sort of International Law. 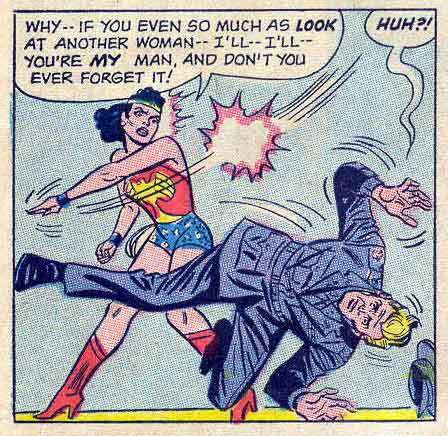 Wonder Woman Spanked by a Giant Doll.